Educational Qualification : Candidates having minimum of MBBS Degree/BDS/Equivalent qualification of an Indian/Foreign University which should be registered by the Medical Council of India. Application Fee : Candidates have to pay Rs. 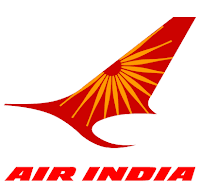 1000/- through Demand Draft in favour of “Air India Ltd” payable at Delhi. No Fee for SC/ST Candidates. How to Air India Apply : Interested candidates may Appear for Interview along with prescribed application form, copies of original Certificates/Testimonials at the time of interview.